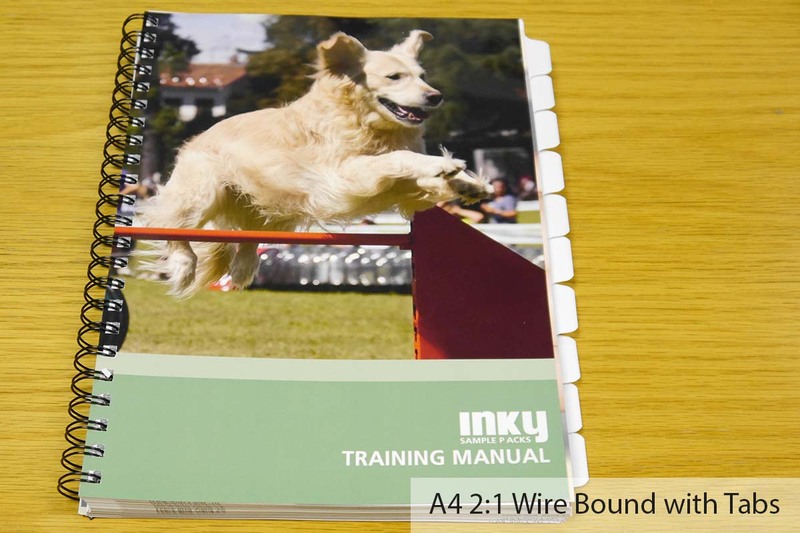 Why do so many organisations trust Inky to take care of their training manuals and documents? Why wait? Get a detailed INSTANT quote now by choosing one of the BINDING options below. One of the nicest looking bindings. We stock 4 standard colour spirals, but a huge range of colours are available for larger orders. 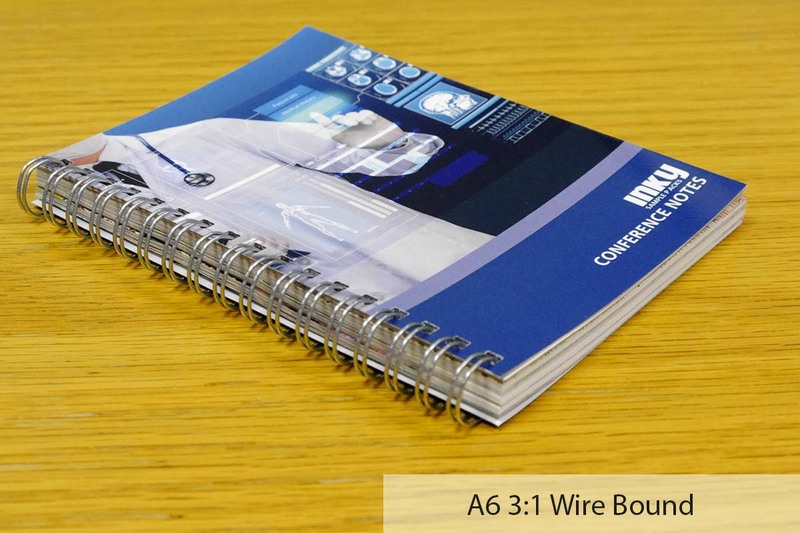 The flexible plastic spirals are practically indestructable making this a good choice for manuals and other documents that might get rough handling. Suitable for a very wide range of document sizes. 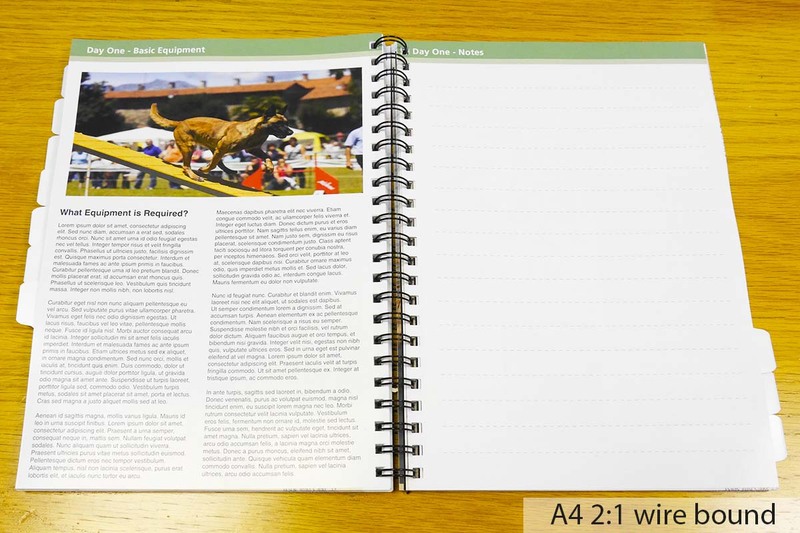 Spine widths up to 22mm (roughly 250 sheets of 80gsm paper or up to 500 printed pages). 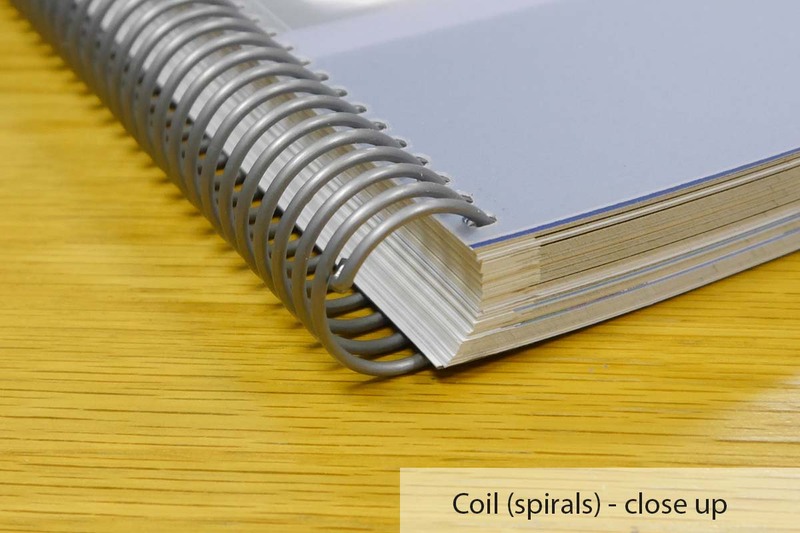 Also known as Coil Binding and Plastikoil bookbinding. Automated equipment mean that this is a cost effective option and we can finish large quantities quickly. Contents can only be changed with specialised equipment. Very smart, professional looking binding. We stock black and silver, more colours are available for large orders. 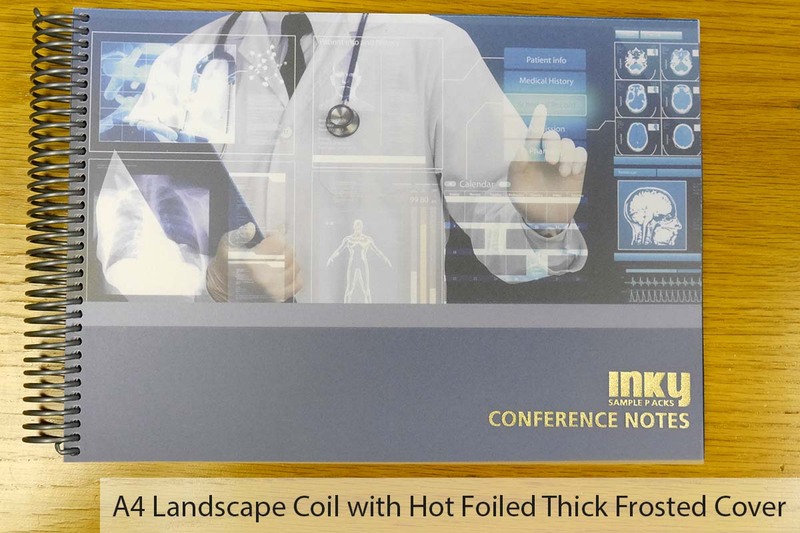 The metal wires are pretty tough and will stand up to a lot of normal use. They will deform if abused though. Suitable for a very wide range of document sizes. Spine widths up to 27mm (roughly 300 sheets of 80gsm paper or up to 600 printed pages). 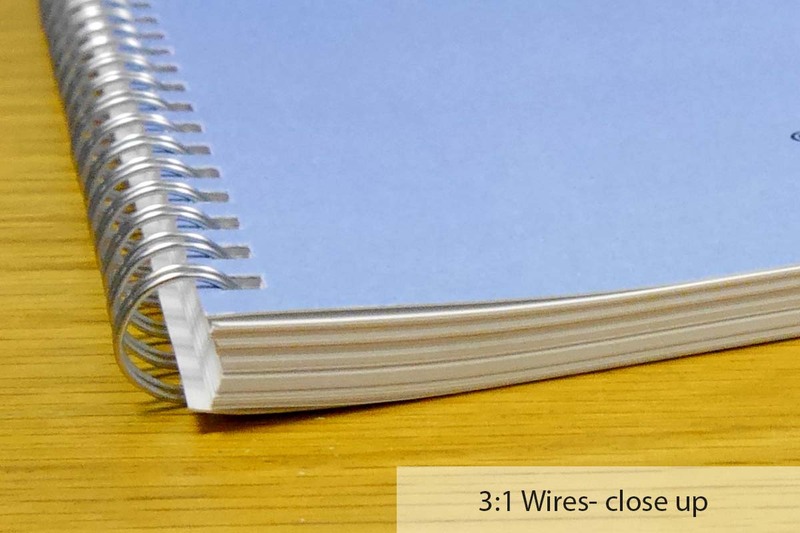 Also known as Wire-O Binding and Twin Loop Wire Binding. The ugly duckling of binding methods! We stock black and white combs. On the plus side, the combs are pretty tough and you can remove and add pages yourself if you have a basic comb binding machine. You can also get some pretty large combs, meaning they are ideal for very thick documents. Available for A4 documents only. 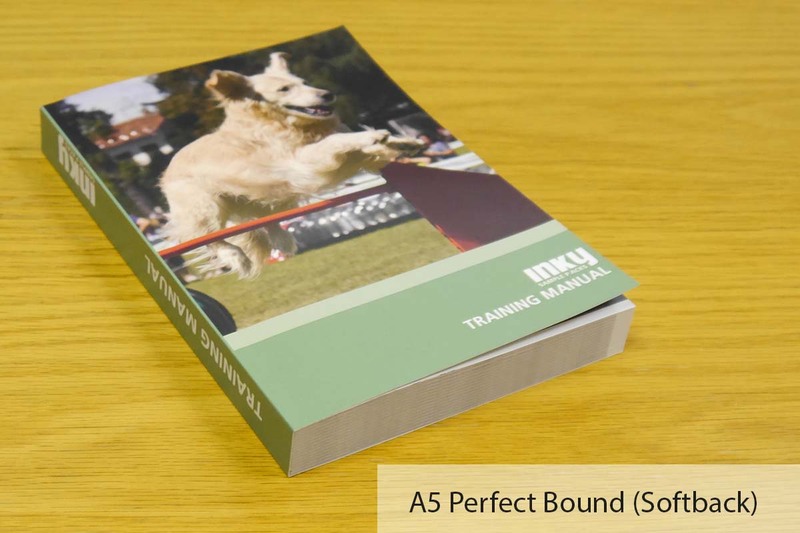 Spine widths up to 50mm (roughly 500 sheets of 80gsm paper or up to 1,000 printed pages). 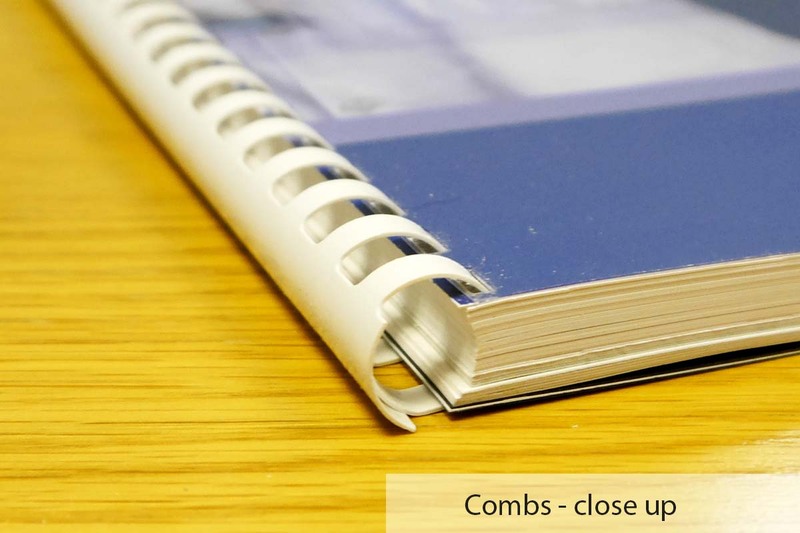 Comb binding is a largely manual process, making this a more expensive and time consuming option for larger quantities. 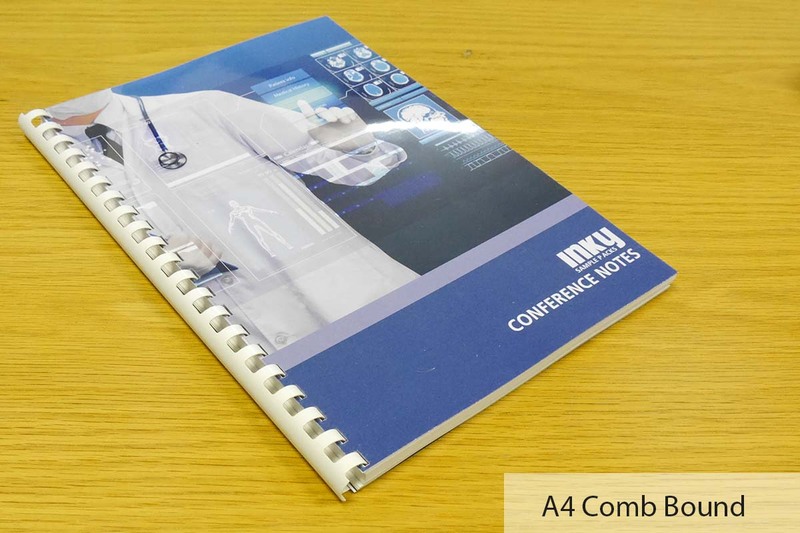 Contents can be easily changed with a desk top comb binding machine. Very smart, this is the same softback book binding that you will see for high quality reference books. 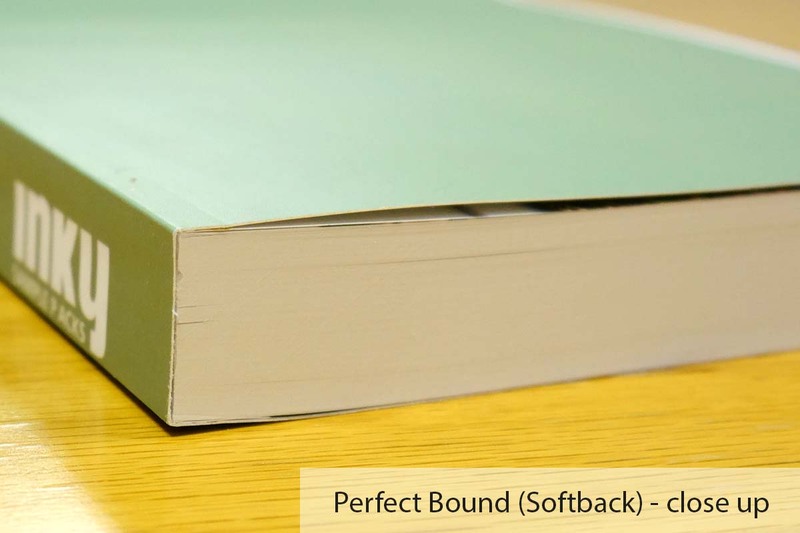 Softback books are robust and high quality. Suitable for a very wide range of document sizes. Spine widths up to 50mm (roughly 500 sheets of 80gsm paper or up to 1,000 printed pages). Would you like some samples? We hope that the photographs help, but there is no substitute for a printed sample. Please just call the helpdesk on 01452 751900 and discuss what samples you need. The helpdesk is manned during normal office hours. Out of office hours, just leave us a message or send an email to helpdesk@inkylittlefingers.co.uk and we'll call you back promptly. Don't forget to leave your telephone number and an email address is useful just in case we can't reach you. It's best to have a chat with us so that we can tailor the sample pack exactly to your requirements.